If you have any questions or would like to place an order over the telephone, please contact us at (602) 952-2925. 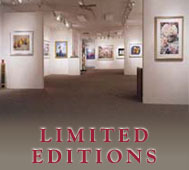 Leslie Levy Fine Art accepts Visa, MasterCard, Discover, and American Express credit cards. You can use these cards securely online by choosing either the Authorize.net or PayPal methods. You can place your order directly over the telephone using Visa, MasterCard, Discover, and American Express. Of course we also accept personal, business or cashier checks and money orders (U.S. dollars only).